If you had one week to impact the lives of 1000 students, how would you do it? Ten people in a cabin in the woods with their Bibles, white boards, with ridiculous amounts of jr high level snacks! It’s not about outdoing the last year. . It’s all about doing “Different” well! Don’t address the peripheral symptoms, aim at the root causes and core motivations. And. . . what the heck is the genre of Zombie Bayou? In this episode of the Teaching Pastor we sit down and have a chat with Jay Johnson and Derek Geer members of the creative team at Hume Lake Christian Camps. If you want to see what a week at Hume Lake looks like in 3 min, click here. Don’t forget to rate and review the podcast on iTunes. Building a contemplative reflective space and designing an interactive experience for a non-denominational Mega church. The path to the pulpit starts with cleaning window sills in the Children’s ministry. If you’re new at this, the rule is if it is related to teaching, say “yes!” What snacks are best to get the creative juices flowing? Facilitating an encounter with God on Sunday is awesome! but. . . Saturdays are the hardest. Sometimes working at a Mega Church is like being the fly on the grill of the 18-wheeler. In this Episode of The Teaching Pastor we sit down with Ines Franklin, Chapel Pastor at Mariners Church, in Irvine CA. Click here for some of Ines’ messages or you can visit her Trochia page. Or if you would like to find out more about the Chapel Experience at Mariners church. Jerry Root: “We offer crumbs! God feeds His people.” Wisdom from a Pastor-Scholar. Call him Jerry, because if you call him Gerald it means the terrorists have won! The beauty of being admitted to Seminary on academic probation.When you meet people, do you lift them off the ground? Being a growing Pastor means you will inevitably feel awkward at times when you are learning new things. Doing exegesis on the text and exegesis on the hearts of the people. Every pastor-scholar needs three piles of books – (The books I read over and over; the books I need to read to keep up in my field; the books I want to read). Graduation is called commencement because it is the beginning of education, not the end. 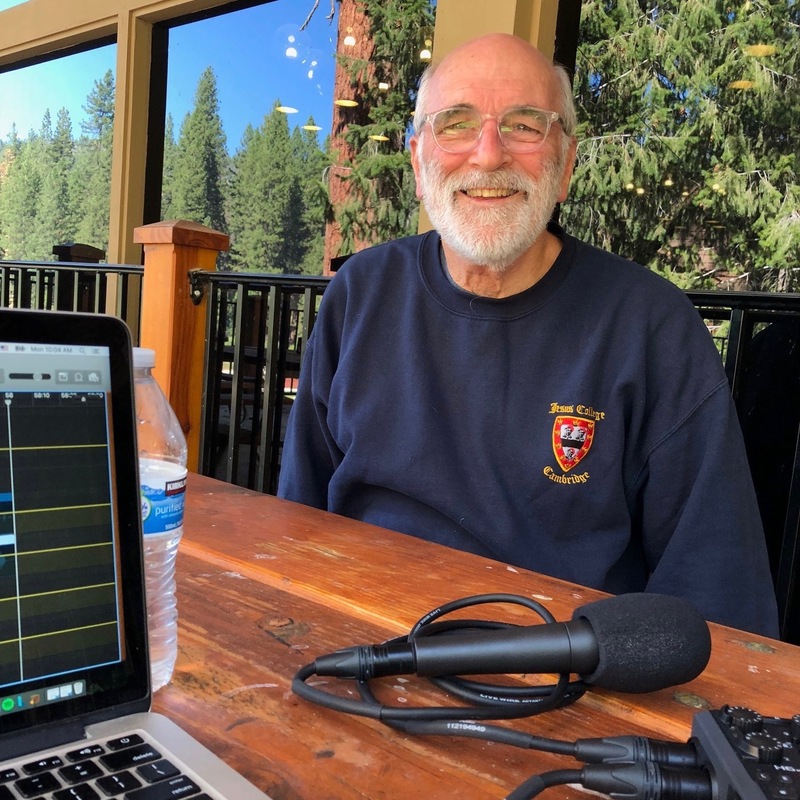 In this Episode of the Teaching Pastor podcast we get a conversation on practical pastoral wisdom with Dr. Jerry Root, Professor of Evangelism at Wheaton College and C.S. Lewis scholar. If you want to hear some sermons from Jerry Root go ahead and Google his name. Go right now and rate and review the podcast on iTunes! Chris Brown is all about building teams. . . and listening to them! If you are a gifted storyteller, you need to listen to this episode! 54 services a weekend might be crazy. “Hire the best people you can, and take a lot of naps,” who said that? You want to train younger teachers? Give them access to the teaching team prep. . . and use them as your personal Google. When was the last time your family took one car to church? What do you do when there is no anonymity when you walk into a coffee chop? Paying your “dumb tax” ahead of time. What do short-stops, running backs, and power forwards have to do with Teaching Pastors? In this Episode of the Teaching Pastor we catch up with Chris Brown, Teaching Pastor at North Coast Church, Vista CA. Is the office a productive place? What do you do when you are part of a church plant and you have no office? Getting your Jansport Backpack loaded as your “go” bag for mobile sermon prep. Analog or Digital? What are the pros and cons of being an early adopter? Waking up one morning and realizing, “I think I’ve found my voice!” Creating routine to maximize your creative decisions. Are you a pastor who might say, “It’s anyone’s guess what’s going to come out of my mouth.”? What do Whitney Houston and your a/v team have in common? What is the best microphone to use on a Sunday morning? What about sound boards and speakers? Why is there a stereotype about sound techs among pastors? Why is there a stereotype of pastors among sound techs? If you would like to see more of what Paul and his team does visit 454 Creative Here are some other resources that came up in the Episode. Erik Thoennes (TAW-ness) preaches those passages that might never make it onto a Hobby Lobby decoration! Do you need to provide a phonetic pronunciation for your last name? Revitalizing a local church with a three-person team approach. Erasing the Clergy/Laity distinction with a Plymouth Brethren background. How do you know when you have a sermon and not a lecture; it isn’t just about volume. Expanding your teaching team planning meetings to include all aspiring teachers in the congregation. The Best preaching advice for beginners. . . “just talk to us.” How do you preach those passages that probably will never make it on a Hobby Lobby decorative wall hanging. as well as Staff Elder at Grace EVFree, La Mirada. If you would like to hear some messages from Erik you can find them at the Grace EVFree La Mirada Website. Do us a favor: Subscribe and Review the podcast on iTunes. Also, share this episode on Facebook with friends who might appreciate hearing about what goes on behind the scenes of teaching prep for a pastor. Matt Hemphill knows that God is in the moving business! In this episode of the Teaching Pastor we have a conversation with Matt Hemphill, Lead Pastor at Prodigal Church of Orange County. If you would like to help the podcast. . . share this episode (and others) on your social media platforms. You can also Rate and Review us on iTunes! In this episode we have a conversation with Chad Halliburton, campus pastor at RockHarbor Mission Viejo. Listen to some of Chad’s messages at the RockHarbor Mission Viejo site. Matt Kyser brings the oil and water. . . but is looking for fire. Have you ever thought while preparing a message, “Shouldn’t this take less time, the more I do it?” Crafting and using a “Good News statement” every Sunday. Finding your voice, by stepping back and taking a hard look at your teaching with a trusted friend. Thinking about the way your sermon is consumed on media, Audio recordings or Video recordings, and how that affects the message. Finding your weekly rhythm and routine of prep. Color coding your notes or manuscript. How long does it take to preach through the gospel of Matthew? In this Episode we have a candid conversation with Matt Kyser, Lead Pastor at The Village Church of Irvine.